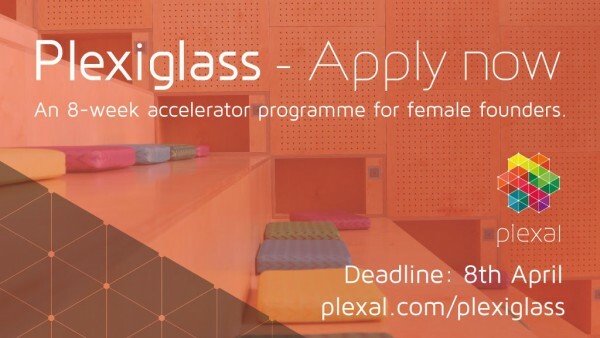 We’re delighted to be working in collaboration with one of Europe’s leading innovation hubs, Plexal, to deliver Plexiglass – an 8 week accelerator programme aimed at bringing more female tech founders to the fore! Participants will gain access to tailored content, 121 support, mentoring and workspace for the duration of the programme, culminating with a pitch event to showcase participants, attended by key influencers and investors. Plus, we’ll be working with the cohort to inject some Echo++ magic with skill sharing and peer-to-peer learning. > Able to base yourself in East London for the duration of the programme. If you’re a female founder looking to develop and grow your tech business, this course is for you. Learn more and apply by 8th April.